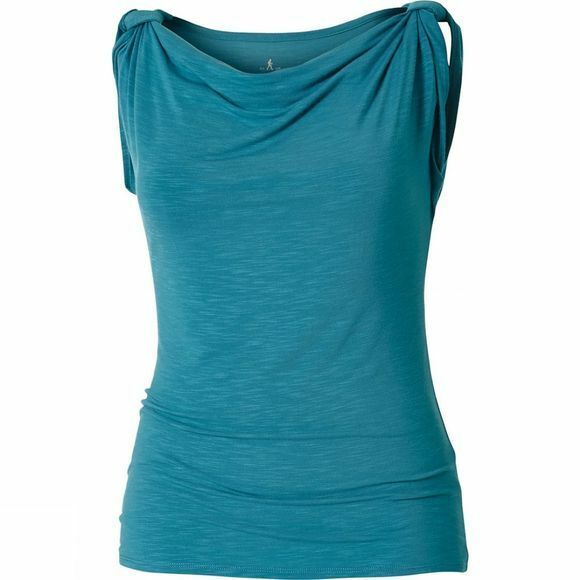 With its playful cowl neck and adjustable sleeve length, the Royal Robbins Womens Noe Short Sleeve captures your fancy visually and then delivers first rate performance thanks to its fabric. Seaside Slub blends Micro Modal rayon and spandex that’s been garment washed for softness. It moves with you, resists wrinkles and dries quickly.